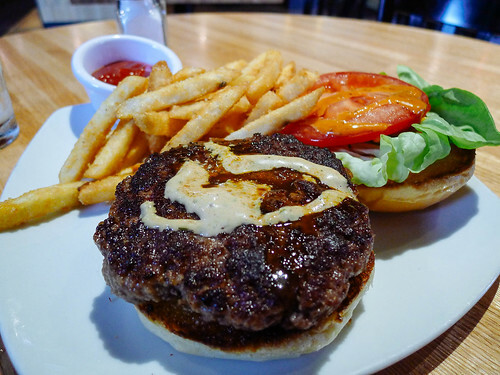 At 2Lunch Crew, we're obsessed with high quality, high resolution photos of great food. And we're looking for new ways to display photos at their best, in context. This week we're experimenting with a zoom interaction on the photos, so when you see a zoom cursor over an image, click for the high resolution version of the image! A gorgeous Monday turned out to be a cruel tease as cold, wind, and even sleet returned to Boston. 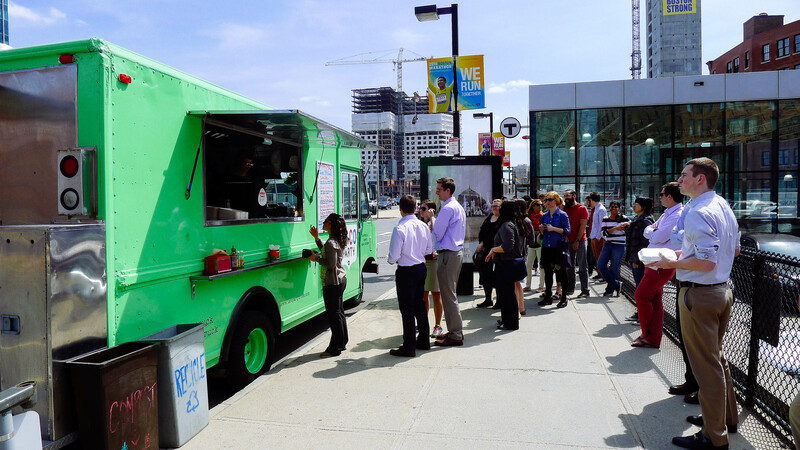 The 2Lunch Crew took advantage of the sunshine, rolling deep for a Monday Taco Party. 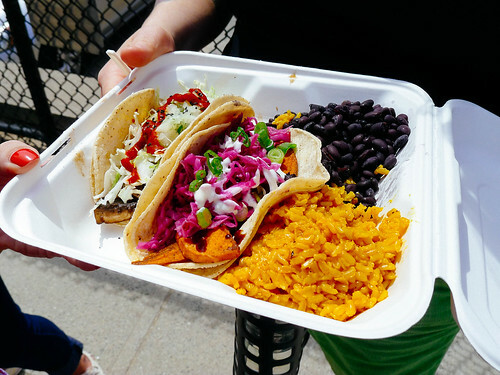 You don't need to be vegetarian to enjoy sunshine and tasty tacos. 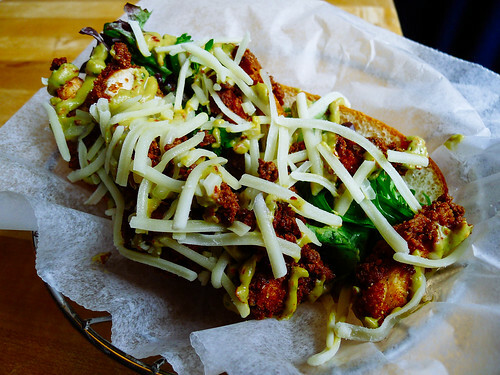 Wednesday morning we saw Chef Jamie Bissonnette's Boston Secrets on CN Traveler, in which he praised the [d:tr-street-food/tr-porchetta] at TR Street Food as "the best sandwich in the city". 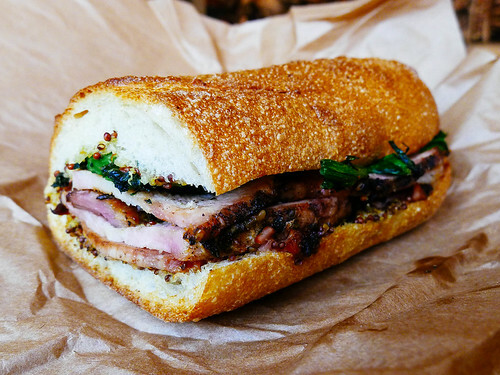 So we stopped by to grab a photo of that beauty—this week topped with crisp green broccoli rabe. 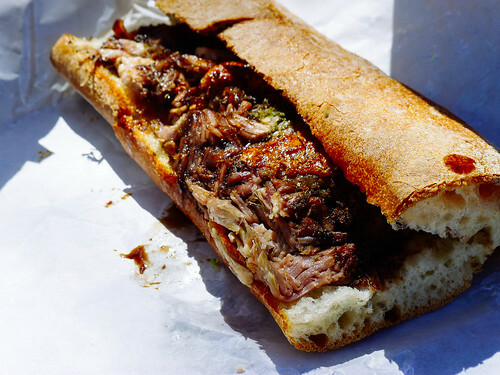 And for good measure took a trip out to Boston's Seaport to introduce a friend to the [d:pennypackers/porchetta] at Pennypacker's, another definite contender for Best Sandwich in the City. Cold weather is perfect weather for Extreme Burgers, and we managed to track down several unique and delicious burger masterpieces. Tuesday we stopped by the Tip Tap Room on Cambridge Street where we enjoyed Chef Poe's Steak Burger w/ Veal Demi, A1 Aioli & Tip Tap dressing. 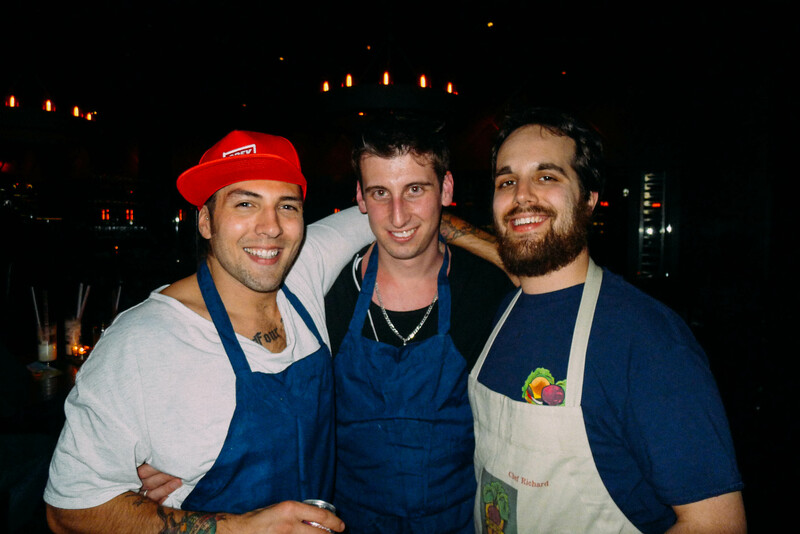 On Thursday renowned burgermeisters Samuel Monsour, Richard Chudy, and Chris Coombs threw a late-night burger pop-up called Super Burger Bros at Coombs' Boston Chops restaurant. 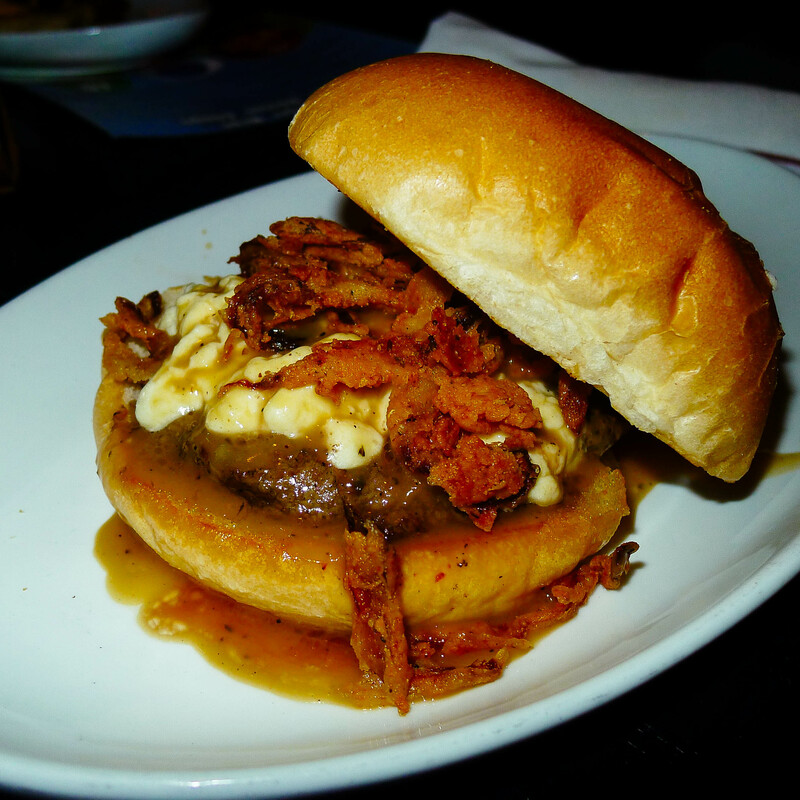 Pictured is Richard's Canadian Smokehouse burger, topped with onion ring poutine and a maple-bourbon gravy. And to round out the week, a visit to Saus to see what Renée had on tap (Oskar Blues Ten Fidy—an absolutely monstrous 10.5% Imperial Stout) and a special edition crispy chicken sandwich with a spicy guacamole sauce called [d:saus/the-gronk].